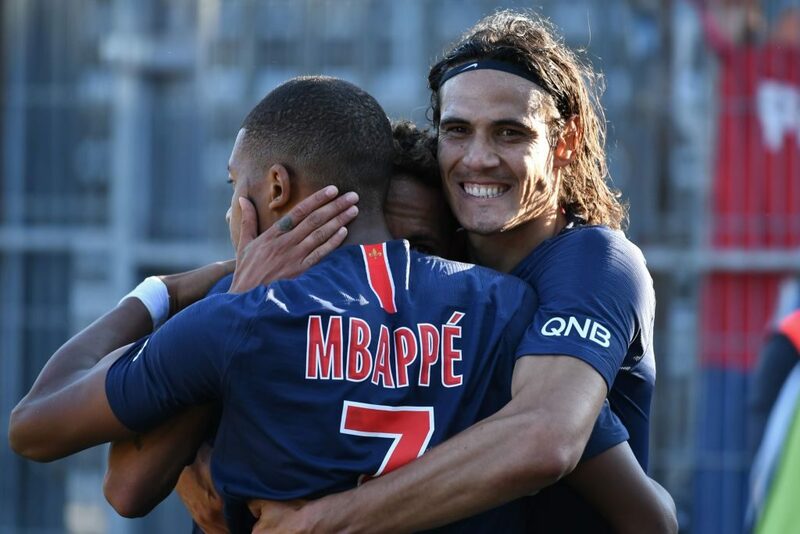 Kylian Mbappe scored the decisive goal but was later sent off as Paris Saint-Germain survived a major scare, and the concession of a VAR-awarded penalty, to win 4-2 at Nimes in Ligue 1 on Saturday. PSG have now won all four Ligue 1 games this season under new German coach Thomas Tuchel. They are three points clear of surprise package Dijon, who can join them at the summit if they beat Caen later. Future opponents of Liverpool in the Champions League, Paris had been busy in the transfer market before the European window closed on Friday night, completing the surprise signing of Cameroon forward Eric-Maxim Choupo-Moting. He agreed a two-year deal to follow Spanish left-back Juan Bernat, signed from Bayern Munich. Neither player featured here, however, and Tuchel’s other summer recruits, Gianluigi Buffon and German defender Thilo Kehrer, started on the bench. With PSG on the ropes, Mbappe rescued them 13 minutes from time as he controlled Presnel Kimpembe’s long ball forward and blasted home on the volley. Mbappe marred his and his team’s afternoon, though, when he violently shoved Savanier to the floor in anger at a foul by the Nimes player, as both teams ended the game with 10 men. The 19-year-old will now miss PSG’s next Ligue 1 game against Saint-Etienne in a fortnight.